You may have noticed a little twist in your yoga practice here at Yogalife lately. 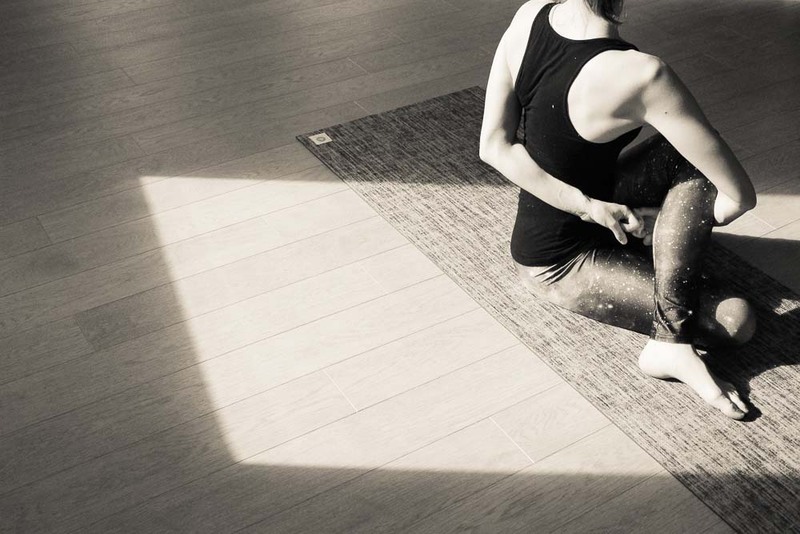 It is by no mere coincidence that many of our instructors have been focusing on twisting poses in practice—as the seasons turn, so should our bodies. Spring is an excellent time for detoxification and cleansing, clearing out the old to make room for the new. Just as we might spring clean our houses—scrubbing out the dust bunnies and packing the warm, thick layers away—it is also important to spring clean our bodies, removing the heaviness and slowness of winter to make room for the lightness of the warmer months (and since we claim residency in Edmonton—home of the long winter—we have plenty of work to do!). In yoga, a great way to aid and promote cleansing the body is through twisting postures. Similarly to the way you might wring out a wet washcloth to squeeze out all the water, twisting our bodies helps to “wring out” our internal organs, facilitating a more efficient cleansing process. Twists temporarily restrict the flow of blood throughout the body. When we release a twist, our now freshly oxygenated blood floods through our veins. This enhanced circulation helps bring fresh nutrients and oxygen to our internal organs and provides them with the tools they need to do their job optimally. Spring is the best time to support the liver, as it is our body’s main vehicle for detoxification. If you subscribe to traditional Chinese medicine, this is the time of year where the liver is the most sensitive—prime time for us to focus on keeping it clean and working like a champ. The compression of internal organs through twisting helps to move along stagnated digestion and bloating, promoting the cleansing of our digestive tract for a happier, healthier belly. For anyone who has struggled with digestive upset, twists—alongside strong pranayama, or breath—can help to ease discomfort and facilitate better digestion and absorption. In addition, deep breathing has a cleansing effect, as we are able to bring in the new—fresh oxygen—while releasing the old—stale, depleted carbon dioxide. In combination with deep twists, long inhales and exhales further aid the body in its gentle purging process. In whichever variation of a twist you might practice, try using your inhales to lengthen your spine and broaden your chest, and your exhales to gently bring yourself into a deeper expression of the pose. Alongside their detoxifying effect, twists can also aid in properly aligning the spine, releasing the muscles and pain or discomfort through the spine all the way down into the hamstrings, increasing or maintaining range of motion in the back body, toning the abdominal muscles, and helping to release tension, stress, and anxiety stored in the chest, shoulders, and back. You might twist from your feet, the floor, atop a bolster, or even balancing on your hands—different poses and variations make twists accessible to every body. Do you have a favourite twisting pose? Do you have any spring rituals or routines for cleansing the body? Let us know!